We invite you to attend the Seventh New York International Piano Competition in New York City, presented under the auspices of The Stecher and Horowitz Foundation. 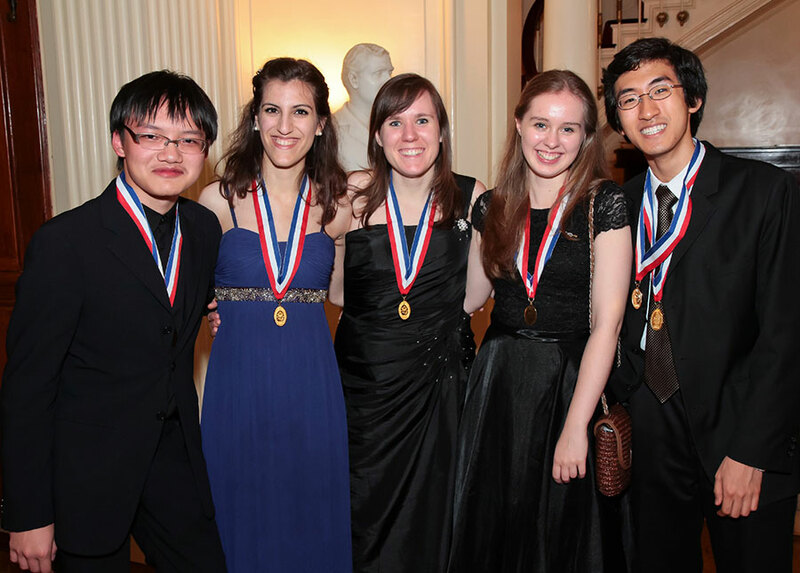 From June 23-27, twenty-two young pianists, representing some of the finest teachers and conservatories in the world, will compete for $50,000 in cash prizes, awards and concert appearances. Join us daily at the Manhattan School of Music to hear the Preliminary, Semi-Final, Final and Ensemble Rounds. Admission is free and open to the public; a complete schedule can be found here. Selected through a rigorous screening process, this year’s contestants hail from the United Kingdom, China, Taiwan, Finland, the Republic of Georgia, South Korea and the United States. Each contestant is judged by a jury of distinguished members of the international music community. A first in the world of competitions, there is no elimination of participants during the NYIPC’s four rounds. In addition to prizes awarded to the winners, the Foundation presents a $1,000 cash award to each of the remaining contestants. The NYIPC also provides an opportunity for contestants to perform, network, exchange information and cultivate a suport system that will carry them through their professional years. Winners and finalists are featured on our Young Artists Series, a signature professional development progam that provides performance opportunities in community-based venues. For up-to-the-minute updates on the competition, ‘like’ the NYIPC Facebook page or follow us on Twitter! The Stecher and Horowitz Foundation congratulates Charlie Albright, 2006 NYIPC First Prize Winner, upon receiving a prestigious 2014 Avery Fisher Career Grant. Hailed as “among the most gifted musicians of his generation” by the Washington Post, Charlie has been praised for his “jaw-dropping technique and virtuosity meshed with a distinctive musicality” by The New York Times. Recipient of the prestigious 2010 Gilmore Young Artist Award, winner in the 2009 Young Concert Artists International Auditions, and recipient of the 2013 Arthur W. Foote Award, his 2013-2014 season includes 64 concerts nationwide. The Stecher and Horowitz Foundation is proud to have played a role in Charlie’s career since he was awarded the First Prize in both Solo and Ensemble categories of the 2006 New York International Piano Competition. Since 1960, the Foundation has been committed to helping young musicians like Charlie to achieve their personal and professional goals through mentoring, career guidance, artistic development, and performance opportunities. The Avery Fisher Artist Program, established by the late Avery Fisher as part of a major gift to Lincoln Center in 1974, serves as a monument to Mr. Fisher’s philanthropy and love of music, with the Career Grants in particular exemplifying his devotion to helping young artists who are working musicians. They are designed to give professional assistance and recognition to talented instrumentalists, as well as chamber ensembles, who have great potential for major careers. Each recipient receives an award stipend of $25,000, to be used for furthering their career. We extend our warmest congratulations to Charlie, and look forward to participating in the growth of his career as mentors and friends. Melvin Stecher and Norman Horowitz have shared not just a stage but also a piano bench for more than 40 years. As the Stecher & Horowitz Duo they were one of the most successful piano duos of the past century. Over time, though, their ability to share has extended into the realm of education, which they fostered through publishing ventures and a music school in Cedarhurst, N.Y., that graduated some 15,000 pianists. It might seem odd, then, that their most recent venture is a competition. Then again, it’s an unusual one.